The fourth major championship is upon us! 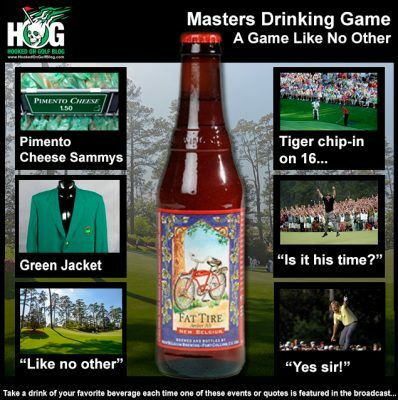 It’s one of the greatest events in golf, the PGA Championship. 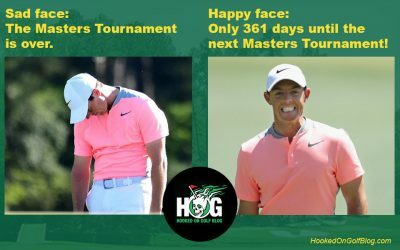 Rory McIlory appears to be on the way, Jordan Spieth is vying for a 3rd major in a year, Tiger Woods “might” be on the comeback, Whistling Straits is a fantastic venue. So many great golf stories to choose from. 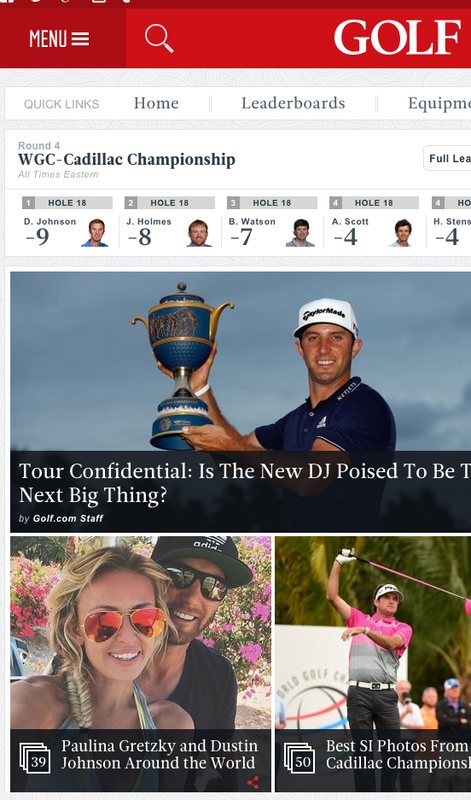 So what does Golf.com choose to offer its readers on the eve of this smorgasboard of great golf stories and angles? What brilliant journalistic excellence does this great golf media outlet grace its intelligent, discerning, classy readers with? 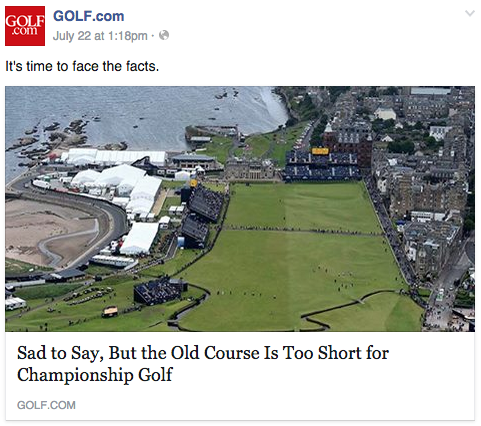 Golf.com Says Old Course is Too Short for Championship Golf? Maybe They Should Focus on Their T&A Photos. For the first time in my entire life, I read an Alan Shipnuck article at golf.com. The only content I’ve seen on that website previously featured Rickie Fowler’s girlfriend and Holly Saunders, so I was surprised to see an article about golf. Alan Shipnuck’s “Heros and Zeros” article about the Open Championship was a zero. The Old Course is too short to provide championship golf? I disagree. Did it not expose the player who had the best all around game, short, long and with the putter? That player was most definitely Zach Johnson. Look at the leader board. Look at the players who were in the top 5-10. It’s a reflection of the best golfers in the world sans a couple who weren’t there in the final round because of injury (Rory McIlory) or not knowing/liking links golf (Bubba Watson). Many of the world’s top 15-20 players floated to the top of the leader board by the end of the tournament. The drama was high. The finish was very exciting. It was great championship golf on the world’s greatest golf stage. I listened to the broadcasts and read the whining about how the course is too short and the bombers will eat it up all week, as Dustin Johnson held the lead for the first two rounds. Where did Dustin finish? Oh, tied for 49th. Where did Bubba Watson finish? Missed cut. 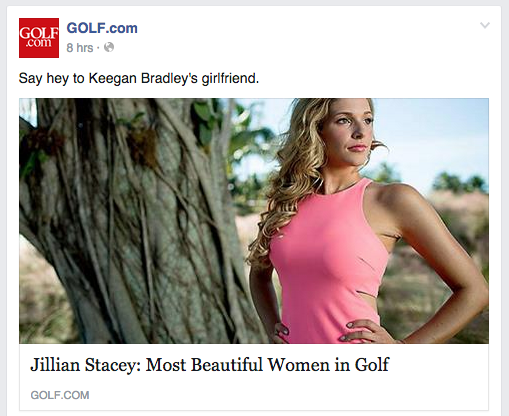 How about Gary Woodland? Tied for 58th. The one bomber who was in the hunt was Jason Day, who also happens to have a great iron and short game and a knack for finishing in 2nd in majors. If anything the stats show that the Old Course defends long driving well, and rewards accurate shotmaking and course management. Winner Zach Johnson hit 94% of his fairways. Think about some of the shots the players were hitting. I remember playing the par-3 8th and hitting 8-iron and 9-iron. Some players were hitting 6-iron because of the conditions. One hole a player might hit a 330 yard drive but on the next hit a 150 yard 6-iron. The course required the players to think, manage, execute, avoid hazards, and putt well. The player who did all those things the best won. Maybe Shipnuck’s criteria for “championship golf” is the scores must be at or near even-par like a U.S. Open? Phooey. The Open winner finished at -15. If you recall, Jordan Spieth was at -19 in this year’s Masters Tournament with one hole left to play. With a large lead of five strokes, he safely won the tournament with an easy bogey on the 72nd hole to finish at -18. -18 eh? 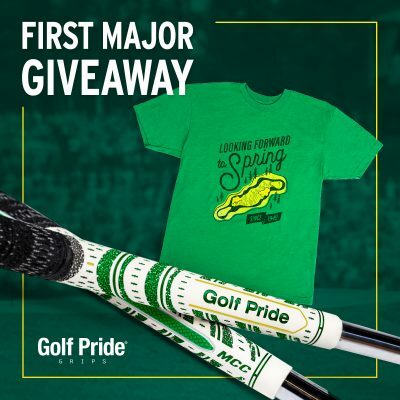 Does that mean Augusta National Golf Club isn’t a championship course either? The golf magazines are going nuts right now, digging in their archives of brilliant Dustin Johnson and Paulina Gretzky photos. You see, DJ won this past weekend and that’s all the excuse the struggling golf magazines need to post link bait, also known as T&A. Many Hooked On Golf Blog patrons know I’m an aspiring photographer and I think it would be totally bichin if I got a job working for Golf.com or Golf Digest or some golf media outlet. So below I’m submitting a few photos from my portfolio. Since I know they love to post any kind of Paulia photo, even with random animals and stuff like that, I found some of my best material. Let me know when I start the new photo job okay? Yesterday I predicted that Golf.com would use Dustin Johnson’s victory at Doral this past weekend as an excuse to post Paulina Gretzky photos. Like clockwork the photo galleries are popping up. Golf journalism at its best! For my next unbelievable feat, the oracle will predict the sun rising in the east. 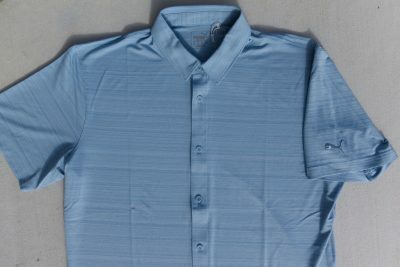 Now I’m positive that Golf.com has lost its mind. This was in my Facebook “stream” today. What the *&*%*^* does this photo have to do with anything? 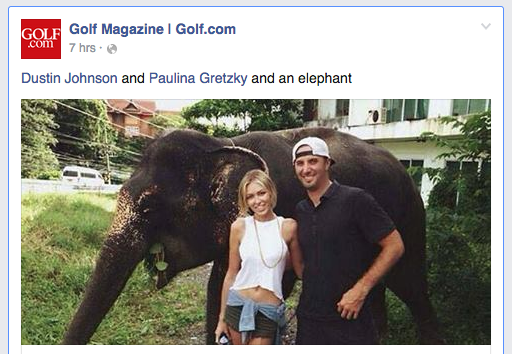 Paulina Gretzky and Dustin Johnson and an elephant? WTF?!?!?!? 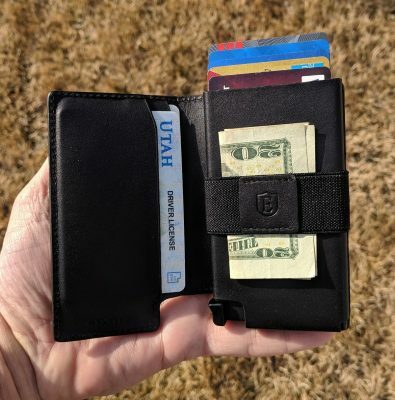 PGA Tour Confidential – No Really! 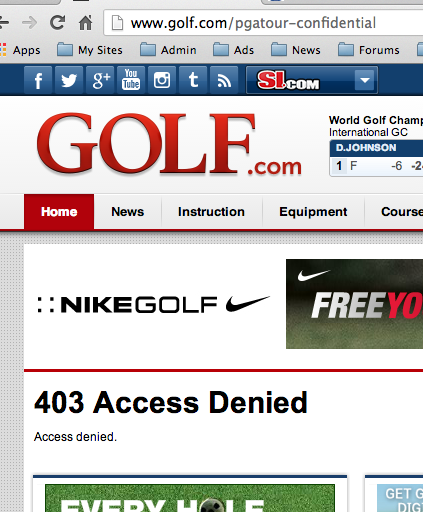 Those folks at Golf.com have quite a sense of humor!